Who knows what evil lurks in the hearts of men? 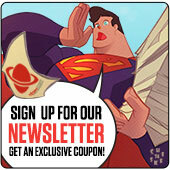 Dynamite knows! 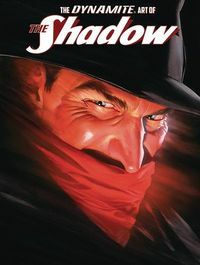 Since 2002, The Shadow has been an integral part of Dynamite Entertainment's publishing line, a relentless force of justice haunting the shelves of comic shops each and every month. Over the years, dozens of highly skilled artists have drawn and painted the crime-fighter, as well as his signature cloak, slouched hat, and twin .45 semi-automatic pistols. The Dynamite Art of The Shadow celebrates the timelessness of a pulp fiction icon, as captured by the comic industry's most acclaimed talents: Alex Ross, Howard Chaykin, Matt Wagner, John Cassaday, Francesco Francavilla, Tim Bradstreet, Wilfredo Torres, Chris Samnee, Jason Shawn Alexander, and many more. Legal Notice: Entire contents trademarked (® or TM) and copyrighted (©) 1986-2019 by Things From Another World, Inc. and respective copyright and trademark holders. All rights reserved. Page rendered at 2019-04-19 01:53:04 in 1.692 seconds.